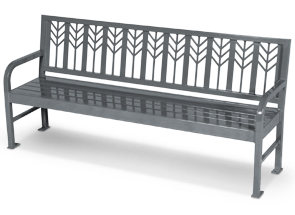 The eye-catching style of this steel bench will give a great look to any indoor or outdoor setting. Our steel benches are hand-crafted using the finest materials. Ships fully assembled. Continuous weld seams penetrate the metal and ensure a weld that is virtually inseparable and rust deterrent. 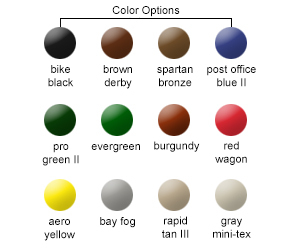 Protected with 7-15 mils of polyurethane powder-coating in your choice of colors shown.